The Lingshu Institute is an educational organization dedicated to the academic study and clinical training of Classical Five Element Acupuncture. The Lingshu Institute is an educational organization dedicated to the academic study and clinical training of Classical Five Element Acupuncture (CFEA). Unlike modern acupuncture commonly practiced today (TCM), CFEA represents one of the last remaining forms of pre-modern acupuncture. 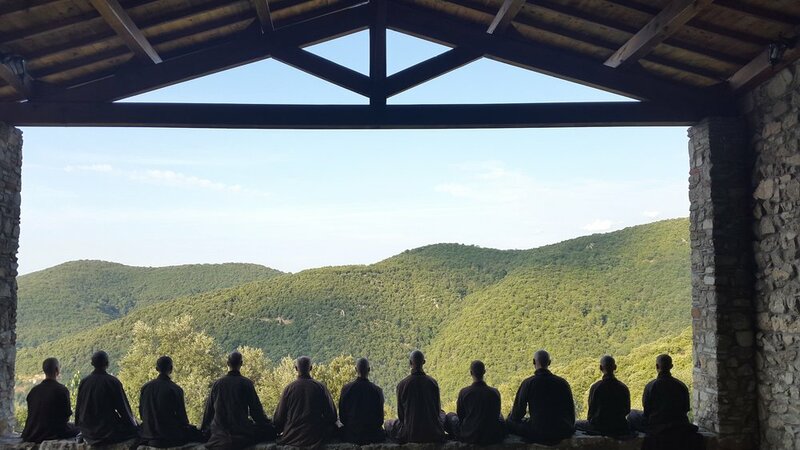 We train students in this ancient system of medicine to both provide a time-tested holistic approach to medicine and to preserve the historical root of modern acupuncture. Acupuncture licensing is skewed toward a symptoms-based approach developed during the modernization of China – the majority of acupuncture programs teach Traditional Chinese Medicine (TCM) not CFEA. Existing CFEA training programs do not meet the demand for producing enough qualified senior-level practitioners because there has been limited opportunity for working professional CFEA master practitioners to learn in organized and systematic learning programs with a strong parallel focus on apprenticeship for students. A faculty of MDs, acupuncturists, and Chinese scholars to rigorously teach the historical roots of Chinese medicine and advanced clinical skills. Faculty are serving as clinical mentors for 5 students of CFEA in San Francisco. 2000 hr curriculum and a program of intensive study of the ancient Chinese medical classics that are the foundation of CFEA. We have secured a location in St. 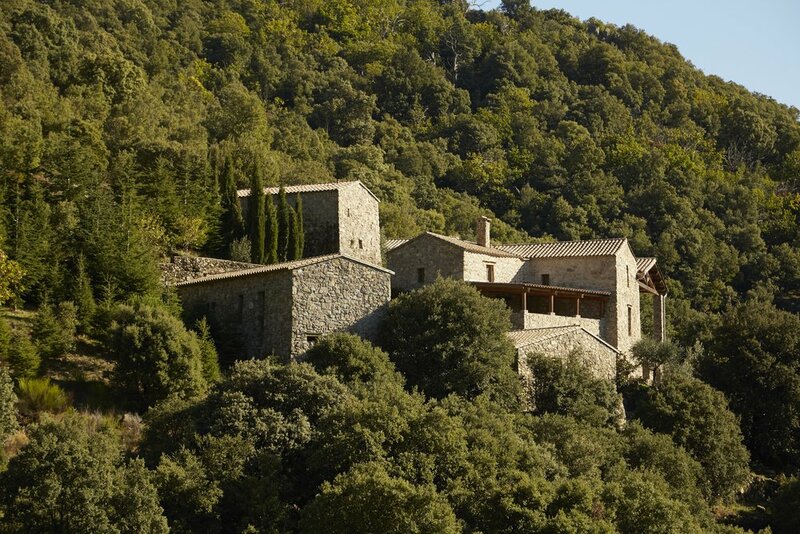 Martial, France, deep within the French wilderness, where students study and can learn to fully embody the systems and patterns of nature to inform their practice; and we have launched an ongoing mentorship program for students to observe real-world clinical application of their training and deepen their study. A continuing education master class focused on serving existing acupuncturists and MDs. 4 of these intensive programs have been run and certified by the California Acupuncture Board as continuing education courses for existing licensed acupuncturists. Since Lingshu Institute’s inception these training programs have trained more than 100 clinicians in intensive seminars designed to hone clinical skills of students. We are very grateful for your support at this early stage of development. This is a critical time for our launching and we cannot take this essential and necessary step toward furthering the legacy of Classical Five Element Acupuncture without your support and goodwill. Please note that we are currently working with a new and different back office 501(c) 3 process. 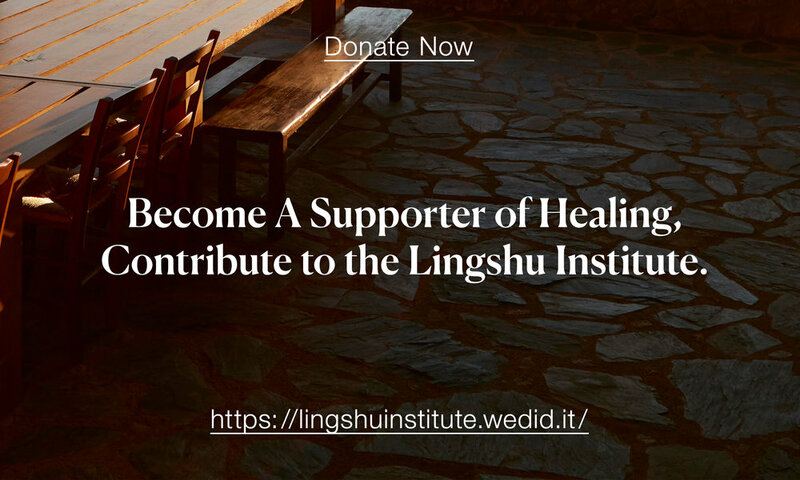 You will gain the exact same tax deduction credit for your donation in this new process for Lingshu Institute. We are using the offices of another accredited and certified 501 (c) 3, the Social Good Fund. Why? We sought out the Social Good Fund as a cost-efficient resource to provide us a quick-to-use back-office donation receiving and crediting system that we hope you will find more efficient and convenient. This back office is provided through a Social Good Fund related financial non-profit account and verification service is --WeDidIt. We made this move in order to have your donating in as direct, efficient and as convenient for you process as possible. Whether as an individual, a Family Office, through a financial planning entity, or brokerage serving on behalf of our donor, you have only to go to the direct donation web page we have established. Your donation will be processed, recognized and be responded to with a legally appropriate donation record for your immediate, effective tax-deductible planning process. Margaret “Peggy” has devoted her entire life’s career to the pure practice of Classical Five Element Acupuncture. After initial study with J.R. Worsley at the College of Traditional Chinese Medicine in the United Kingdom, in 1976 Peggy set up her own practice in California. Peggy has earned international recognition as a master practitioner and is a Master of Acupuncture, UK, earned a diploma from National Certification Commission for Acupuncture and Oriental Medicine and is a Certified Acupuncturist in California. One of California’s first licensed acupuncturists, Peggy has long recognized the disparity between her training and the options currently available to those wishing to study acupuncture. She is dedicated to creating a rigorous pathway for future acupuncturist to insure that this method of healing does not disappear. Richard earned his M.D. from Tufts Medical School, did post-graduate studies at Baylor Medical Center in Houston and became a general practitioner working for the U.S. Indian Health Service, spending two years on the Navajo Reservation. Following this he worked as an Emergency Room physician in Boulder, San Francisco and New York. During the last two years as an E.R. doctor, Richard traveled to England to study Classical Five Element Acupuncture at the College of Traditional Chinese Acupuncture with J.R. Worsley where he earned the title of Master of Acupuncture. For the last 39 years, Richard has practiced acupuncture in New York, Los Angeles and Marin County, California. Élisabeth holds several advanced degrees in Classical Literature, Philosophy and Chinese. Her career was shaped by collaborations with Fr. Claude Larre († 2001) and Dr. Jean Schatz († 1984) on Chinese thinking, Chinese medicine and Chinese language. Élisabeth is a co-founder of the Paris Ricci Institute (1971) and of the European School of Acupuncture (1975) and has held several positions in these organizations. In 2001, under her tenure as Chief Editor, the Ricci Institute published the monumental comprehensive Chinese-French dictionary in 7 volumes. Élisabeth lectures worldwide on ancient Chinese philosophy and on classical medical texts. She is also the author of over 50 books, booklets and articles. James graduated from University of Toronto Medical School and practiced family medicine and obstetrics for seven years in Victoria B.C. He started studying with Professor J.R. Worsley in 1975 and continued regular post Master's and MAP study until J.R.'s death. He co-founded and ran Canada’s first Holistic Health Centre in Victoria in 1976. In 1985 he co-founded Canada's first East/West Chinese Medical College in Victoria and ran it's Five Element teaching and clinical programs. He started the Association of Complementary Physicians of British Columbia in 1990, which has grown to embrace and support complementary practices in general medicine. James practice of Classical Five Element Acupuncture is located in Victoria B.C. Allegra Wint, who was taught by J.R.Worsley, has practiced Classical Five Element Acupuncture in Oxford, England since 1975. She was a member of the faculty of the Worsley College, and a lecturer and clinical supervisor from 1978 till 1984. She then became a freelance lecturer. Allegra researched the history of point location in different traditions and published material and worked as a point location consultant for College of Traditional Acupuncture and College of Integrated Chinese Medicine, UK. Since having her first child in 1984, she researched and taught the use of acupuncture for pregnancy, childbirth and post-natal care. In recent years her teaching has focused on the use of the intuitive faculty of the mind in order to access a greater resource of awareness and understanding when working with patients. Develop a 3-year 2000hr curriculum for healthcare practitioners. Launch post-graduate training course for existing professional practitioners. We have successfully run 4 intensives and have provided more than 1000hrs of CEU credits to existing California licensed acupuncturists. Fundraise for launch of 3-year program. Create clinic for postgraduate training with master practitioners in San Francisco .